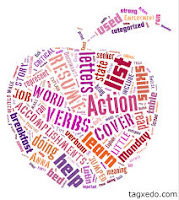 Verbs in English can be classified into two categories: stative verbs and dynamic verbs. Dynamic verbs (sometimes referred to as "action verbs") usually describe actions we can take, or things that happen; stative verbs usually refer to a state or condition which is not changing or likely to change. The difference is important, because stative verbs cannot normally be used in the continuous (BE + ING) forms. 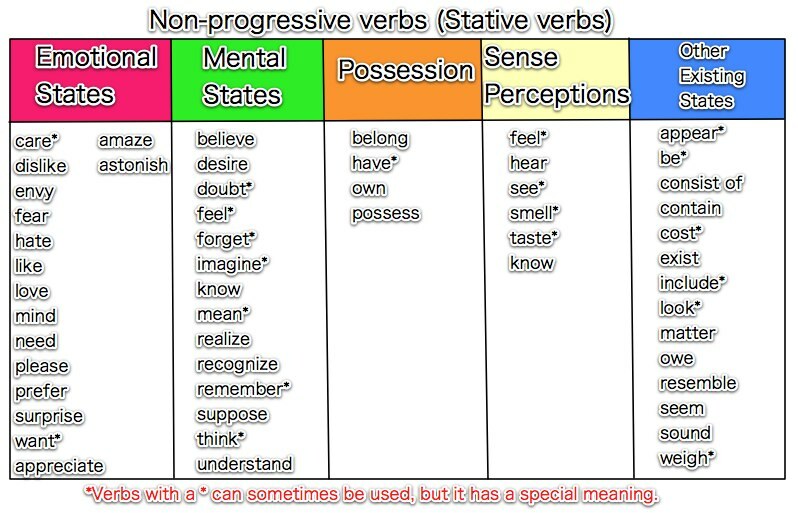 This will explain the differences between the two types of verb, and give lots of examples of each kind.